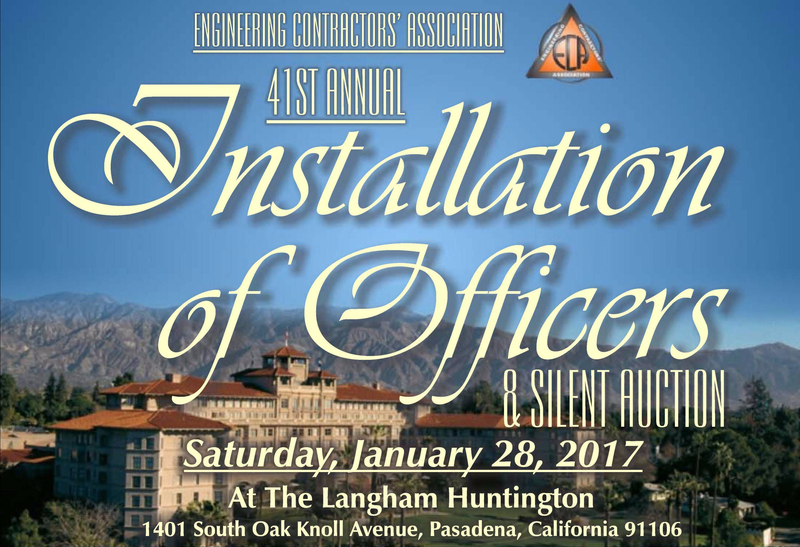 Saturday, January 25th, Traffic Management, Inc. attended the ECA’s 41st Annual Installation of Officers and Silent Auction. We were happy to be a sponsor of the event and to support the installation of this years officers, which included our own V.P. of Safety, Dave Graham. Dave currently serves as chairman of the Safety Forum for ECA and was installed onto the Board of Directors. It was a great night of networking, and dinner and a live auction. The proceeds of the auction goes directly to the ECA‘s efforts in protecting and advancing the industry’s interests both locally and in Sacramento. Congratulations to all incoming board members!